When I moved to South Africa from Europe, I was disappointed to see the scale of poverty and the lack of quality education. I had the desire to do something about it and with a few of my Friends; we started to organize Exclusive Fashion Exchange parties in my home. The clothing became the tool to mobilize the community and the goodwill started to grow. That is how Chic Mamas Do Care was born. Today, I am very happy with our progress and grateful for every person who is involved with us. Thank you for making our mission possible! I have been part of Chic Mamas since its brilliant inception and have loved every min of being part of this dynamic group of women that practice what they preach.I feel blessed to be able to teach my girls the art of giving back and living with a real sense of community- this has been nurtured by being part of Chic Mamas. When Abigel asked me whether I was interested in becoming a Trustee for Chic Mamas there was no way that I could refuse. 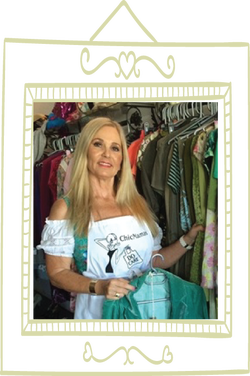 I have been a regular donator and customer of Chic Mamas for years and have always admired the great work that the Mamas do. I was very honoured to become a Chic Mamas Trustee at the beginning of 2016. After 20 years in the corporate world, I started my own business consulting company called Collaborate Consulting and Development in 2016. I work with large, medium and small businesses on strategy development and on making their businesses more successful and their staff more engaged and fulfilled. I also have a business called FutureMe with works to address the youth unemployment crisis and skills shortage in business. We work in high schools to bring the World of Work to life for young learners and help them to find their passion thereby making them work ready and employable in careers they love. 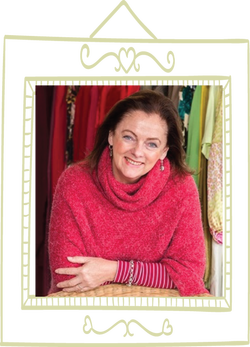 Lindy Molyneux joined the Chic Mamas team from the onset. 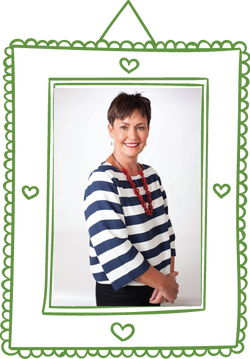 With her financial background (she is trained as a Chartered Accountant), she naturally gravitated to looking after all the financial and regulatory aspects of Chic Mamas. Lindy is currently jointly running a fabric upholstery business, Philip Pikus, which is all about designing with a conscience – producing beautiful, timeless, sustainable fabrics which are made in South Africa. 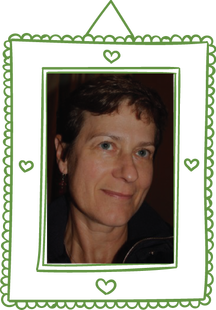 Lindy has a passion for making a difference in the community where one lives and with two kids in Preparatory school, she realizes that children’s education is one of the key pillars to ensuring a successful South Africa. of True North at one of our first half price sales and I soon became fully immersed in True North's Grade R Literacy programme and facilitated the volunteer group for four years. I was also involved with organizing the Chic Mamas annual Golf Day. My favourite events are our monthly 1/2 price sales - I just love the vibe and the fact that our customers take such pleasure in finding incredible bargains! Early 2016 I left Chic Mamas, currently I am helping with other projects in the ECD sphere. 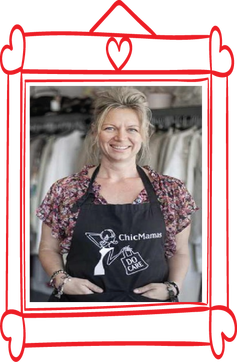 I am a founder member of Chic Mamas and have therefore been here from the beginning. I was a Trustee till early 2016 and also do voluntary work at the Bergvliet shop. I firmly believe that it is vital for young children to be given a proper education. At Chic Mamas, we are contributing to the upliftment of children in need and it is so rewarding to see the accomplishments that have been made. I am a founder member of the Chic Mamas team and a trustee till 2016. While still a passionate supporter, I am not involved in the day to day running of Chic Mamas Do Care, due to my busy work schedule. I own Prospur Travel Agency in Claremont and I have 2 daughters. Special thanks to Antonia Mansfield, Jenny Silberbauer, Michelle Venter, Susanne Dalton, Beverly Richards and Dee Shields for their dedication and volunteer work towards our mission over the years. We are forever grateful for all volunteers who spend their time and efforts to contribute to our success. 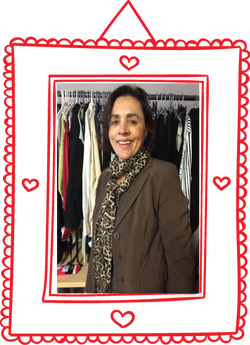 I have been a volunteer with Chic Mamas for 4 years; I managed the Greyton and Boo-Kaap outlets. Currently I do occasionally pop-up shops at events. Chic Mamas is a movement connecting communities together through sustainable fundraising, supporting education and I am so happy to be part of this family! I started to volunteer for Chic Mamas when we were at the Plumstead shop, a couple of years ago. I worked in retail all my life, I brought new light to the organization. Now, I am the only paid employee and I am responsible for the smooth running of the operation.I merchandise, style and manage the volunteers and the Bergvliet shop. I love doing Events with the team, we have lots of fun and laughter. It is fantastic to work for a higher cause and love to use my expertise for the greater good. I love the customers who come in, I have great relationships with most of them. I do styling during my shifts, but I am also available for private sessions for a fee. You can contact me on raffyroberts@gmail.com if you are interested to spice up your wardrobe and clear out dated items of clothing, I am here to help! 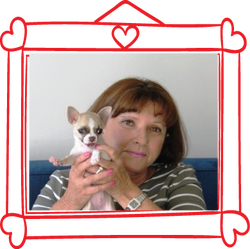 Hi my name is Tracy I have been involved with ChicMamas from the beginning. I really love being part of this dynamic team of wonderful volunteers who all have the same philosophy which is making a difference in childrens lives and education, no matter how small my contribution is, I know I am making some child happy. the Bergvliet shop. What I love about it is the connection with real people who want to make a difference, either by donating clothes to Chic Mamas, or buying from us - both of which help with raising funds towards the educating of young kids in the townships and thereby making a difference in their lives. The other days of the week I am a mother to 4 kids and work professionally as a photographer together with my husband - we are A Gorman Photography. I have been involved with Chic Mamas for 2 years now. I thoroughly enjoy the interaction with our lovely customers who so enthusiastically support the cause and who are continuously interested in the progress and success of Chic Mamas. Hi, I'm Shaneen Batten a stay at home with a chartered accountant qualification. I feel privileged to be able to volunteer for Chic Mamas by compiling their financial accounts and reports thereby supporting them in their amazing initiative. Through the volunteering I have met some truly phenomenally generous and good hearted women also supporting Chic Mamas initiative. This makes me feel good and I enjoy doing it. distribution list, and communicate via email with our loyal supporters informing them about upcoming events, special offers, money distribution etc. 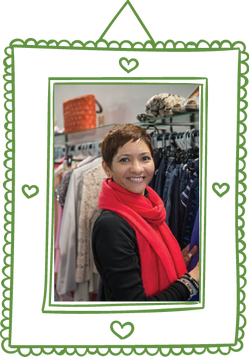 I am a married mom of two sport mad boys, and am currently following a long held passion for personal styling with Chata Romano, after spending most of my life in the corporate world. Volunteering is an energizing escape from my lecturing job. I absolutely love my volunteer job. Laughter is pretty much non-stop and there is a lot of inspiration to be found, not just in the charity’s educational projects but the amazing staff, volunteers and loyal customers. Chic Mamas is such a special, impactful organisation that makes people look so damn fantabulous! I met Abigail at a social event a few months ago and her passion and enthusiasm for chic mamas was infectious. I couldn't wait to join the team and after a few days training I've now been let loose in their wonderful new premises in Wynberg. I love fashion and clothes but to combine the two with such a worthy and inspiring cause is the cherry on the cake! I am born into a privleged background and have been aware of those less advantages since I can remember.After completeing a year overseas after school I graduated from UCT and Unisa.I was in Human Resource Management for over 35 years as a general Human Resource Practioner in both the insurance industrey and Clothing manufacturing environment.I am a mother to a 23 year old daughter who lives in Perth, and is studying at UWA. A son in heaven and a step son at Tukkies doing his masters.A wife, a friend and volunteer for various organiziations. I love animals, food , travel and books.It feeds me to give back and as such I feel my time at the shop contributes for all that Chic Mamas accomplishes and stands for.